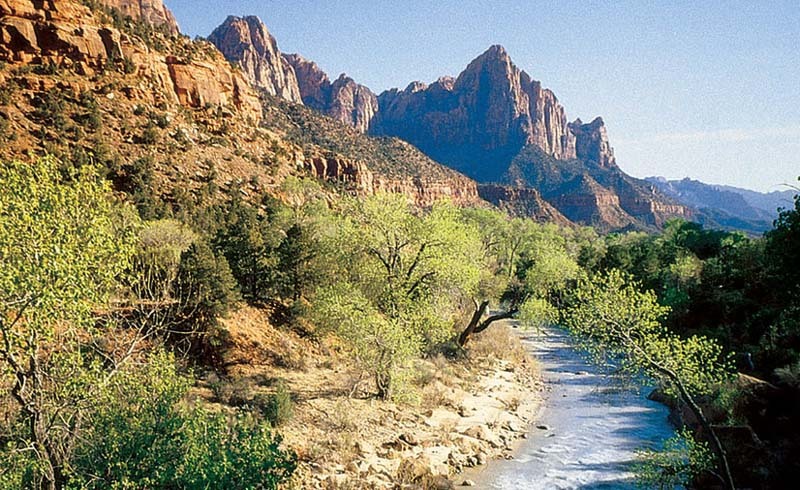 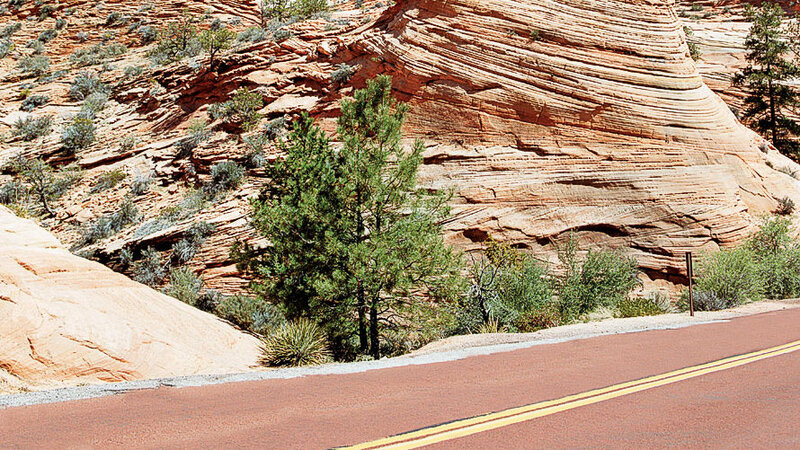 Take in breathtaking views of Zion’s red rocks, glowing green trees, and the powerful Virgin River. 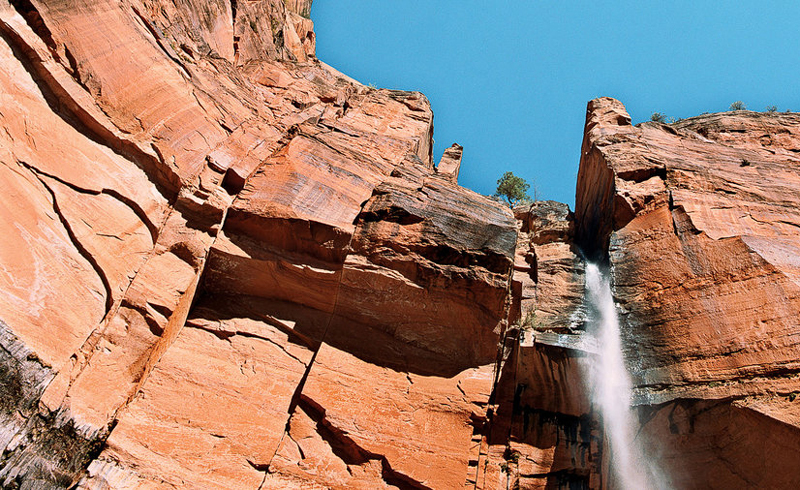 Upper Emerald Falls is a white plume against Zion’s red rock. 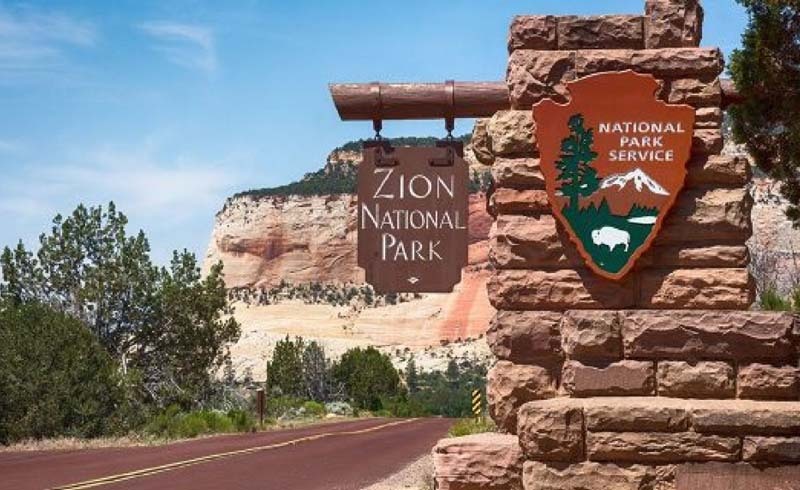 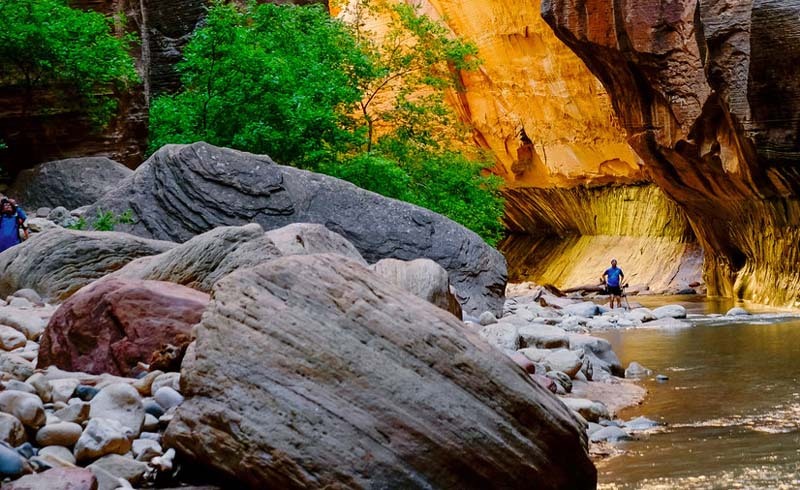 Smart travelers know that the most exciting way to explore Zion is by hiking through the park’s canyons. 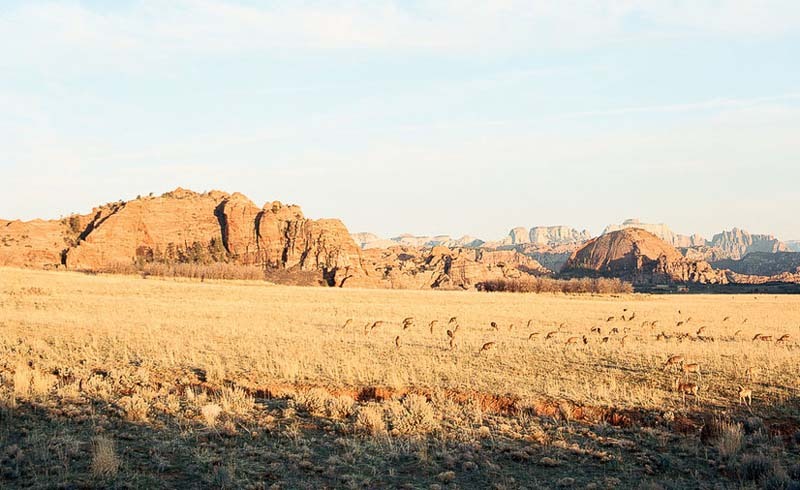 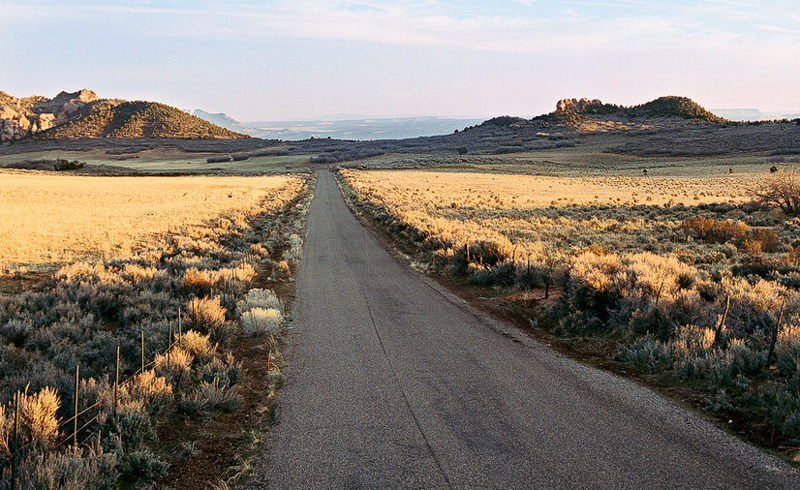 Enjoy the late-afternoon sun polishing the Utah desert. 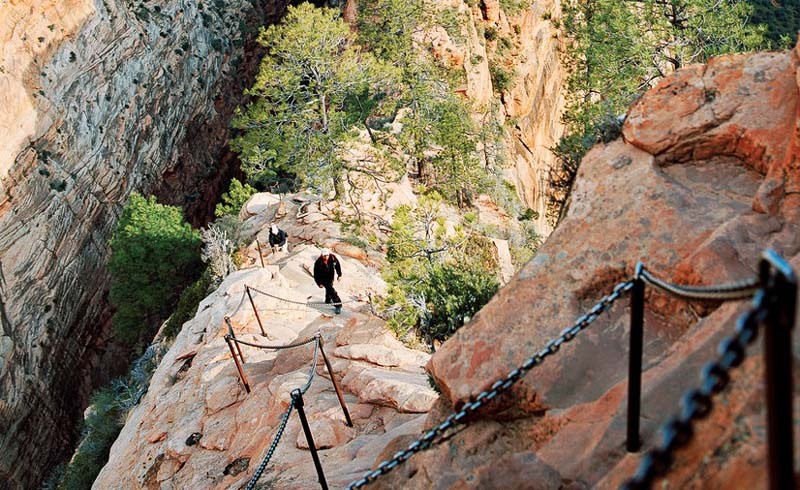 Hikers tackle the last, steep, steered-by-chain stretch of the Angels Landing Trail. 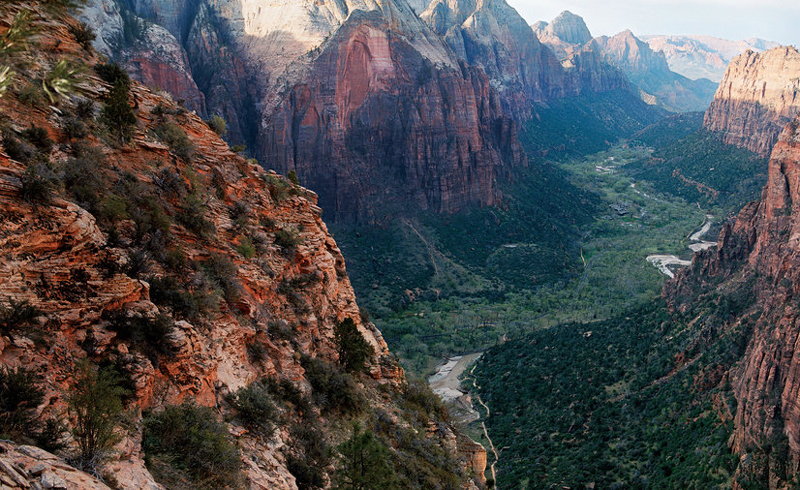 Heavenly reward: Make the 1,700-foot, 2.5-mile hike to Angel’s Landing, and you get this view of Zion Canyon and the silver meanders of the Virgin River. 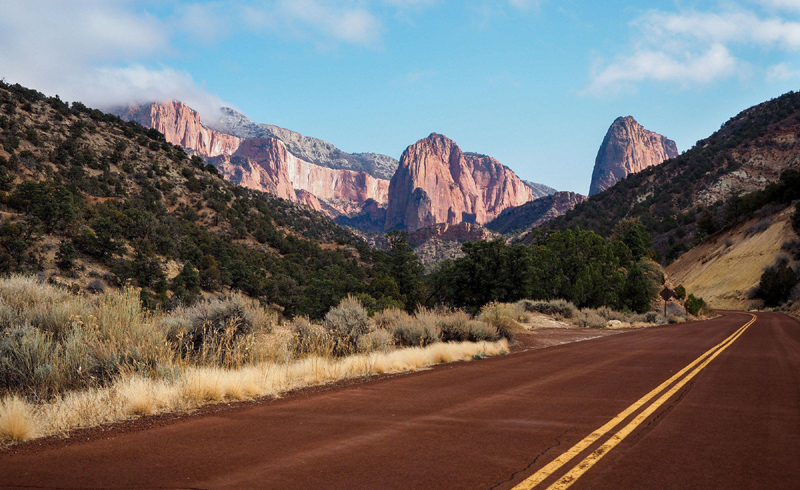 Classic Zion view of blue skies and red rocks. 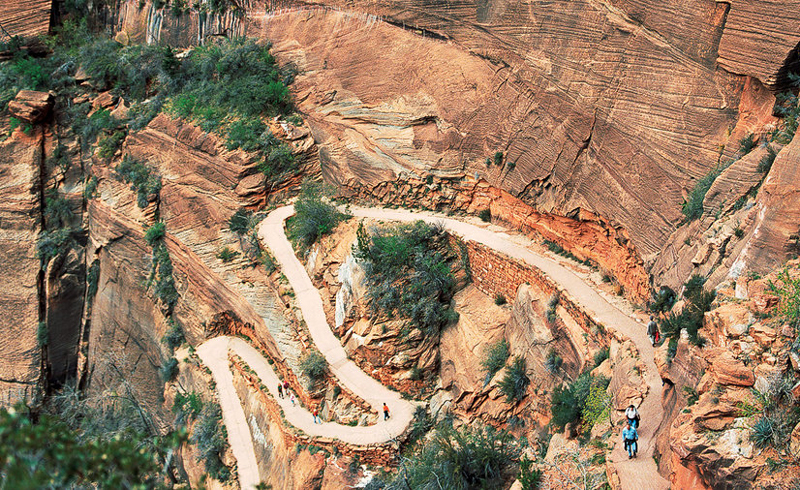 Be sure to notice the natural beauty on your way to the park. 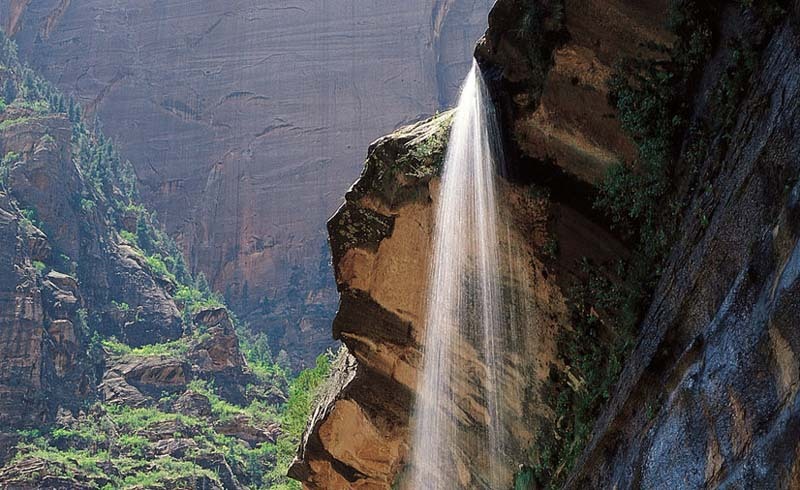 A waterfall plunges hundreds of feet down sheer sandstone walls in the upper reaches of Zion Canyon.